Ready for another room challenge? Thanks so much for all the comments on the previous rooms; it was very enlightening and helpful! Enjoy some more. As much as I like pink, this room is too much for me! Personally, I do not care for the frilly canopy or the chair in the right corner. I would also be afraid of jumping out of bed and falling through the window. Not much about this room appeals to me! Ahhhh. . .Now we're talking! Love the brown!!!!! I am all about simplicity, so this room speaks to me. I love using chairs and books in decor. Do not care too much for the lamp, and I think I would use a different color on the walls. Love the floors. Believe it or not, I also like this room. It is very Shabby Chic looking, which I love. Great color, material, and furniture combination. In fact, I love everything about this room. I would use this as a guest bedroom or for an older daughter (if she liked it). I stray from using lots of floral in my own bedroom since I share it with a man (my husband :-). Now, let me hear from you. . .
Picture 1 is way too busy. 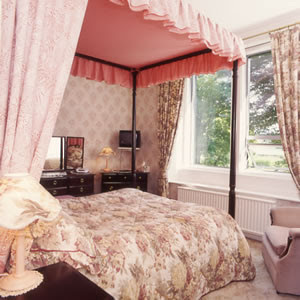 I like the pink and the canopy but, but the wallpaper has got to go. I think if the walls were plain, it would be much better. 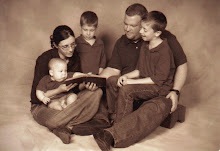 Picture 2 , I'm pretty crazy about. As I'm sure you remember, our bedroom furniture is very similar to this. While I like the simplicity, you know I would've worked in some sage green, and maybe something to soften the floor...a rug , I guess. And yes...the lamp is grotesque. Room 3 is too shabby. A little shabby goes a long way in my book. And yes....maybe this would work as a guest room, but I don't think a man would be too thrilled with this whole decor. Interesing. Oops- excuse the first comment, I was just making sure I could comment. Room 1- I really like the big open windows. I love natural light. I also think the wallpaper is pretty, it looks old fashion. The lamp is unique. The rest of the room pretty much just looks outdated to me. Room 2- Nice bedroom furniture!! This room is a little to formal and plain for me. I like brown but would throw a little more color in to soften it some. Like the chair. Room 3- I LOVE this room!!! The bed frame is so neat!! I really like the window treatments, and the throw pillows. Not crazy about the quilt on the bed but it ties in really well. The nightstand with handbag hanging on it--Awesome, Awesome. Definitely my favorite! Room 1: Not my style really. Although I would have loved the canopy as a young girl. Kind of the Princess Feel to it. The big Picture window is nice but would like it in a family room. I doo like the comforter, but would have paired it more with a dark mauve toned room. Room 2 I really like. 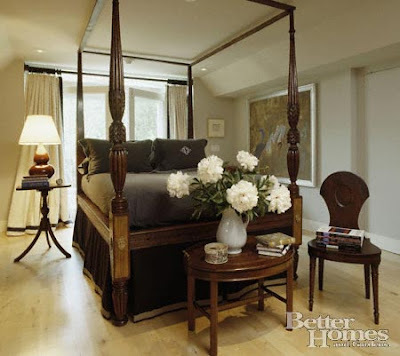 The bed is a little high for my liking and I would accent a few other colores in with it. 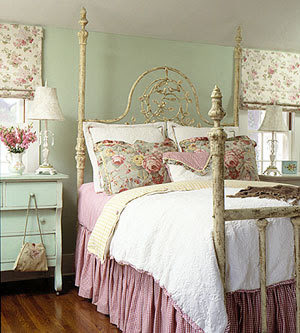 I love the floral arrangement at the end of the bed. Room 3 The walls are to plain. And it looks kind of cramped. I do like the color of the walls, and agian I like the little pink flowers in the vase/pitcher on the desk. Yeah! I've been looking forward to another one of these! Rm #1 - I just don't like. I don't like all the floral stuff, I don't like the canopy, I don't like the lamp and it looks like a motel room with that gigantic window and heat element underneath. Rm #2 - I do like this room. I agree it needs some throw rugs or something for more color and I'd paint the walls a dk sage and add some more decor -- candles or something. Rm #3 - Again, too much floral. I don't like the window treatments, I don't like the bed and I'd paint it a darker sage. Oh and about rm #1 - I hate bedspreads. I love quilts and comforters! Ok...I have 2 browsers open so I can give my unprofessional critique. :) Sorry if it's too long! This is fun! Room #1:I love canopies. I don't like how the curtains are made but I like the big window. It would be cute as a seat window (bay window). The wallpaper isn't my favorite but overall, I think someone did a nice job pulling it all together. Perfect guest room for Granny. Ok.....I feel really dumb...I asked my friend how to pronounce it..and she says "Shabby Chick" too! Has ANYONE else ever been told that you pronounce it differently????? Hi, Martha. I've never done this before but it looks fun. So here goes. Room 1 - I'm not into the sea of pink either...the basic design of things I like but in a completely different color scheme, please. Room 2 - much more my taste but I agree that the bed looks a little weird reaching clear to the ceiling - looks like overkill to me. I would also pull in another color to offset the brown, which I do like. Lamp is hideous, curtains are a little weird. Room 3 - I'm ok with shabby chic but can we please go another way besides pink? The huge roses really need to be replaced with some stripe of some kind on the pillows as well as the window shades. Love the floor. There's my 2 cents. That was fun - I'll be watching for "Catching Your Eye ~ Part 3"
I like Number 2, but warm it up a little, please. Number 3 is cute, but I agree with Nancy--a little shabby goes a long way. And ladies, please: avoid the giant cabbage roses! I currently have an extremely overpriced chair in my livingroom in a large floral pattern I wish I had NEVER laid eyes on! Searching for the perfect. . . Believe it or not. . . The Tale of a Broken Arm. . .
You know you've been a . . .